With advances coming into effect in almost every field, the branch of dental care has not been left far behind. Modern day sees the application of highly efficacious dental treatments and one of the most prominent one among all is dental implants. Let’s get an insight about dental implants that will help explain its wide spread use by dental practitioners all across the world. 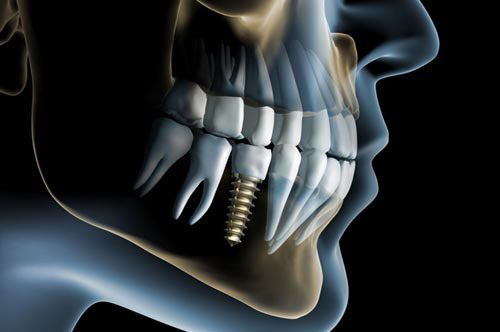 What Exactly Defines a Dental Implant? An implant can be best explained as an artificially made prosthesis made up of special material which is surgically inserted in the oral tissue and bone as a tooth and root replacement, to support either a removable or fixed denture. Marked Improvement in Aesthetic: Implants look like a perfect substitute of a natural tooth and once placed within the jaw, the implant is hard to differentiate from the remaining permanent teeth. In short, it gives the appearance of a natural tooth that has emerged from the soft tissues. Improved function: The implants are all designed so as to keep the harmful forces within noticeable limit. Consequently, the efficiency of chewing food is enhanced in comparison to usual tooth/teeth replacements. Also, the tooth implanted enables all the patients to speak far more clearly than before as these fuse to the bone. That was not the case with temporary dentures. Ill fitted dentures made many conscious while speaking as they feared that the denture might fall. Overall, one’s health and confidence level boosts post tooth implantation. Better oral health: Yes, with implants, you do not have to worry about other supporting teeth undergoing alteration in the form of tooth cutting or grinding. Implants on the other hand can support themselves and this allows the oral hygiene to be preserved for a longer span of time. Convenient and Long Lasting: You no longer need to feel embarrassed like you did before whilst removing dentures at the end of the day (especially when at others home) or go through the hassle of using adhesives to keep the denture in its place. Plus, dental implants have impressive durability as it is made of a high strength material known as titanium. Anyone who has single or multiple missing teeth and has a desire to replace them can opt for dental implants. However, good oral health in terms of healthy gums and substantial bone support is an important factor. Patients with a history of debilitating diseases such as uncontrolled diabetes or past experience of radiation may present a problem. A thorough oral evaluation and medical history thus, helps the dentist determine whether or not implants make a good option for you. In cases where all teeth have been lost and bone support is poor, complete dentures are difficult to place. To enable the patient to eat and speak properly, dental implants are considered.